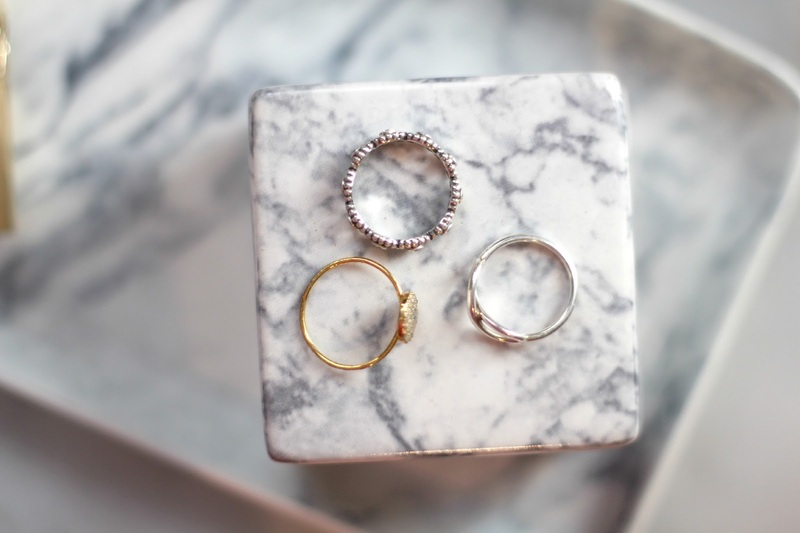 I'm sure you've noticed - marble is everywhere at the moment! 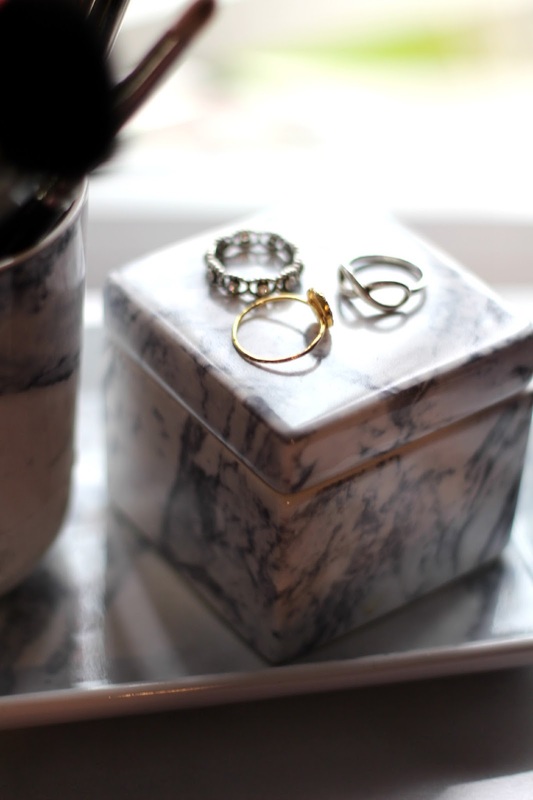 From jewellery, crockery to tables.. any surface or object has a marble edition! Personally it's a trend that I am absolutely loving (I'm also a guilty copper obsessive..), it looks so simple, clean and just very aesthetically pleasing to be honest! 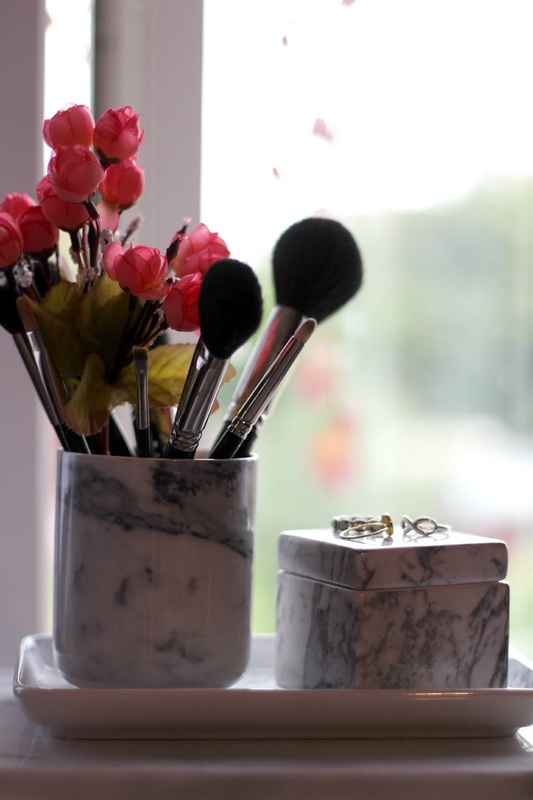 There's one shop that has absolutely got it down in the affordable and beautiful marble department and that is H&M Home! All three of the beautiful items pictured are from H&M and you've probably seen them in all the posts from your favourite bloggers, I guess they've become a bit of a blogger necessity! 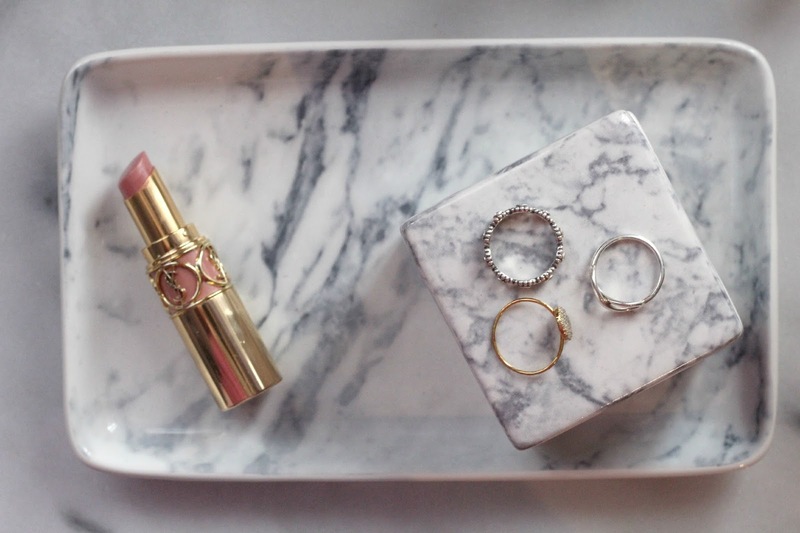 Apart from being the perfect back ground for a blog post, these marble gems all have a purpose in my room. I have two of the pots, which are supposedly meant to be for the bathroom, but I personally love using them for my makeup brushes! They are the perfect size and when placed on top of the plate it's a lovely little setup! The plate would also be really good as a little end of the day dumping ground on a bed side table, because where else would you put your watch, one earring and what other random junk you've accumulated throughout the day? The box is pretty enough to be justified just as decor, but I use it to throw my spare change in. I'm sure this won't be the end of my marble inspired purchases, so if I find any more treasures I'll be sure to keep you in the know! 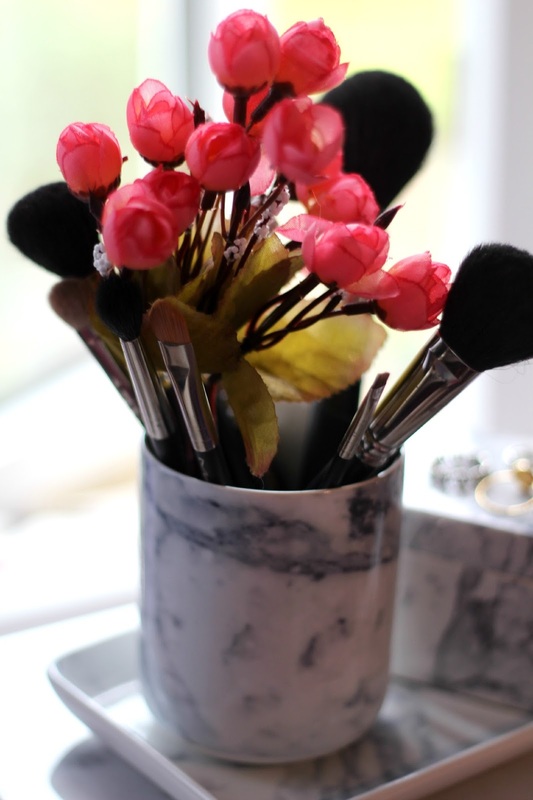 Love the detailing of the marled pieces- especially the tray and your makeup brush holder! !